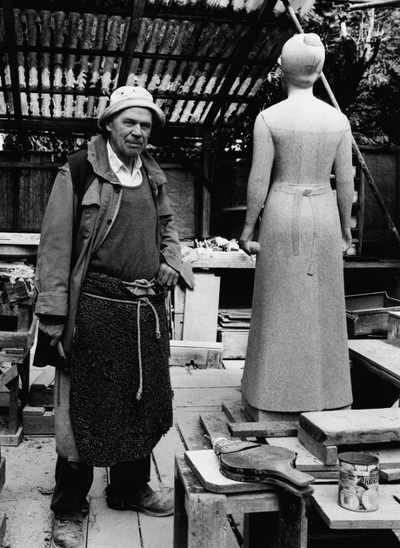 "Kütemeier sees himself as a sculptor, who, before carving his sculptures, spends more time and energy in front of notebook instead of clay and modeling stands. Nevertheless, his bronze work is just as important as his sculptural work. He yields his standards from the stone." 2000 Visual Arts Section Exhibition - Free Academy of the Arts, Hamburg (in celebration of the 50th anniversary of the Academy - Chamber of Commerce, Hamburg).